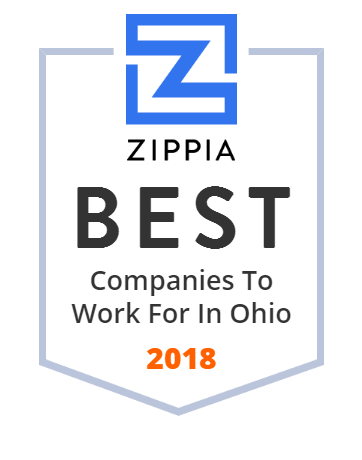 We hand-curated a list of the best companies to work for headquartered in and around Ohio using data on salaries, company financial health, and employee diversity. Forest City Realty Trust, Inc. is an NYSE listed real estate company that owns, develops, manages and acquires commercial and residential real estate in markets across the United States. Founded in 1920 and headquartered in Cleveland, Ohio, Forest City's portfolio of exceptional office, retail and apartment assets as well as dynamic, mixed-use communities is primarily focused in their core markets which are New York City, Washington, DC Boston, Dallas, Denver, Los Angeles and San Francisco. Chestnut Hill Realty is a privately held real estate company based in Chestnut Hill, Massachusetts, that specializes in purchasing, renovating, developing, operating and leasing real estate, with a focus on multi-family residential housing. We are an industry leader in commercial real estate with offices in Cleveland, Ohio & Louisville, Kentucky. Are you looking for a reliable, efficient house builder to help supply you with the new home of your dreams? M/I Homes is one of the nation's leading home builders with over forty years of experience in the industry. Bock & Clark is a national provider of due diligence services. Our services include the ALTA Survey, Zoning Reports and Environmental Site Assessments. Stouffer Realty has experienced real estate professionals across Northeast Ohio. Specialties include Residential, Commercial, Vacant Land, and Developments. PK Management specializes in affordable housing options while providing our residents with first class amenities and resources. Your home bulit for your life. To provide leadership, creativity, and the highest quality real estate solutions for our clients. We strive to be better rather than bigger. Your source for the greater Cincinnati area homes for sale and real estate listings, including northern Kentucky and southeast Indiana. Buy a home, sell a house with our experienced NKY Real Estate, Cincinnati Real Estate and Southern Indiana Real Estate Agents. An established industry leader serving Greater #Cleveland #RE for over 50yrs, Guardian's award winning staff is your market leader in title and escrow services. Homes for sale in Central Ohio. We are the Mack Companies; Built on Teamwork, Driven by Customer Satisfaction, Dedicated to Continuous Improvement, Committed to Longevity. Together we create a Successful Future. The Lorain Metropolitan Housing Authority provides safe, decent, affordable housing for the residents of Lorain County, OH. Its housing programs include Public Housing, Housing Choice Voucher, Elderly Housing (LCEHC), Market Rate, and Low Income Housing Tax Credit (LIHTC). Once the housing needs of residents are met, its The Resident Services Department (RSD) provides programs for adults and children and plans social and recreational community activity. Hills Property Management Company has over 50 years expertise managing residential and commercial properties. Paige & Byrnes has been serving the Warren Ohio community for years. Call or click today to get started on your comparison. Call (330) 393-2587 today!